Social media for business is supposed to help promote brands and endear them to the public. But things don’t always go according to plan. Bad jokes, silly scheduling, and even downright incompetence can leave companies scrambling to make quick apologies and save face. While social media for business screw-ups can leave a company’s PR team working overtime, the good news for brands is we live in the age of the 24-hour news cycle. One embarrassing headline-grabbing mistake only lasts so long before it’s replaced by another business’s blunder. Here are some of this year’s social media fails that deserve the biggest facepalms—and how you can avoid making the same mistakes. While not exactly a social media fail per se, the New York Times became the source of both jokes and confusion when one of its editors forgot to turn off a satirical browser extension before editing an article. When the newspaper published a digital-only piece about Donald Trump’s trade claims, readers quickly discovered it included a nonsensical quote from Time Magazine. After social media followers began pointing out the error, the newspaper quickly issued a correction, stating an editor had copied and pasted the quote using the Millennials to Snake People browser extension. Apparently, the editor didn’t notice his mistake before publishing. As well as replacing the word “millennials” with “snake people,” the extension also replaced some other words and phrases with random gibberish. How to avoid this fail: Always proofread your content before sharing it on social media for business. It’s also good to have a second pair of eyes check over your posts for accidental errors. When Snapchat users started experiencing issues with Snapstreaks in July, the company tweeted the issue was being fixed in an effort to reassure its followers. We're aware many Snapchatters are experiencing crashing on the app. We're looking into it and working on a fix! But what the company didn’t anticipate after setting up a bot to auto-reply to unhappy users was that they’d start gaming the system. One Twitter user caught on quickly and decided to test Snapchat. It’s safe to say the company didn’t pass. Test: my snap streaks disappeared. 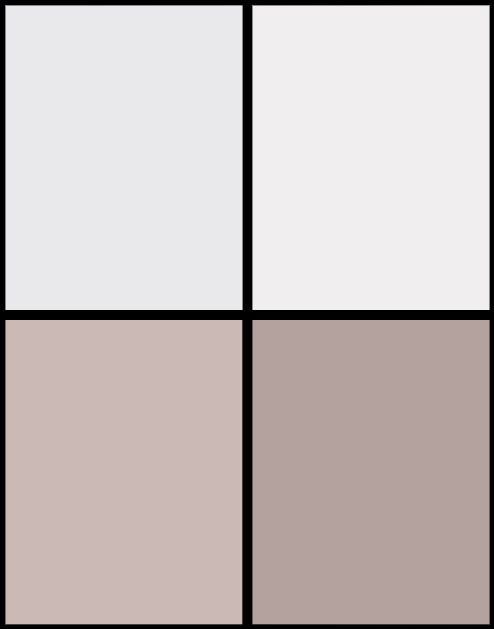 This is a test, if you tell me to go to your website I'm done. 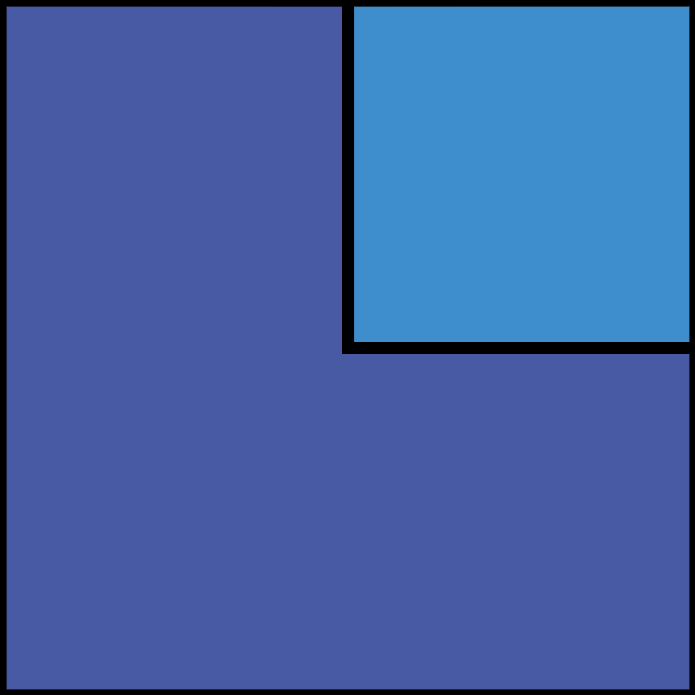 Another user, Scott, quickly figured out what was going on. And that’s when other users decided to join in the fun. England have lost there world cup streak. Any way they could get it back? I'm lost but there are people running around naked, should I streak? so I lost my cat yesterday. he was the light of my life. I don't understand why he just ran away. he always comes back but this time, he disappeared. I don't know how long this streak of him being away will last. How to avoid this fail: Automation is a great way to save time, and in this case, quickly tweet users a reassuring message and point them in the right direction. But users are smart and will quickly figure things out if they think you’re treating them like numbers. While Snapchat’s bot no doubt helped a lot of users who were having issues, the company could’ve owned this blooper by recycling it as a meme. When Snapchat ran an ad asking users if they’d rather slap Rihanna or punch Chris Brown, the “Diamonds” singer told the app to go and delete itself—and the company subsequently lost $800 million from its share price. The distasteful ad callously references the 2009 incident when Brown violently assaulted Rihanna, his then-girlfriend, to which he later pleaded guilty. Rihanna took to Instagram—Snapchat’s rival—with a lengthy statement on Instagram Stories that called out the platform for intentionally shaming victims of domestic violence. Snapchat’s response was that the ad was made by a third party and not the social platform itself. A spokesperson for the platform told The New York Times the ad was removed immediately and the advertiser blocked. Rihanna’s comments sent the share price value of Snapchat parent company, Snap, down by nearly 4 percent—erasing nearly $800m from the company’s market value. How to avoid this fail: As far as fails go, this one was costly for Snapchat. To avoid falling into the same trap, properly review any third party content that is displayed on your site and subsequently shared to your social media for business. Stay well-clear of referencing sensitive subjects and making light of serious circumstances. How do you celebrate modern women on International Women’s Day? By reinforcing the 1950s housewife stereotype. 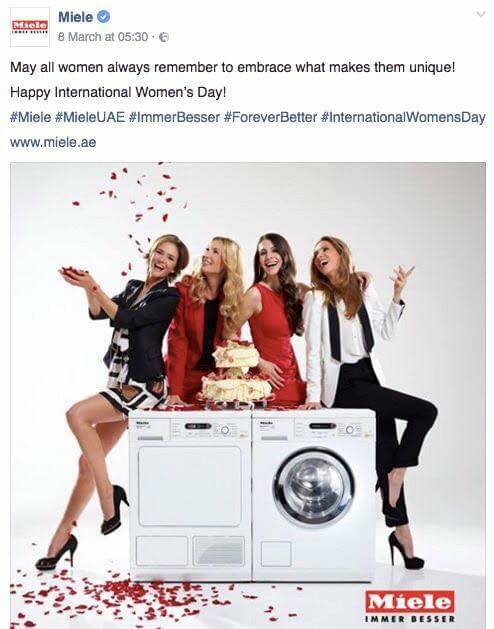 The appliances manufacturer probably thought it was cute to share an image of four women excited over a washer and dryer, but completely missed the mark. Miele deleted the Facebook post a few hours later. How to avoid this fail: Don’t rely on old-fashioned stereotypes for your marketing. Know your target audience. Understand what drives them and use this information to inform your social media for business campaigns. In the midst of the Yanny/Laurel craziness back in May when this audio clip split the world into those who heard “Yanny” and those who heard “Laurel,” brands took to social media to react to the infamous debate. From Barnes and Noble and Coca-Cola to Warby Parker and its more subtle promotion of its Laurel model of glasses but calling it Yanny, brands were quick to join in the fun. Then, in the midst of a bombing campaign in Afghanistan, the US Air Force crossed the line with a tweet stating Taliban forces would rather have heard “Yanny” or “Laurel” instead of the noise of an A10 dropping bombs. How to avoid this fail: Be careful about how you leverage popular memes on social media for business. For a sensitive topic like death, or in this case war, think twice about using humor. If you’re not sure whether a joke is going to be well-received, just don’t do it. Always make sure that any news stories you try to piggyback on make sense and align with your brand. Burger King’s Russian division came up with a rather crude and sexist promotion for VK—a Russian social network—after the country’s 5-0 opening game win against Saudi Arabia. The burger chain offered women a lifetime supply of Whoppers and 3 million Russian roubles if they conceived a child with a World Cup soccer player. Burger King, as part of the social responsibility programme has announced a reward for women who get pregnant from the world recognized soccer celebrities. Each will receive 3million rubles and a lifetime supply of Whoppers. Women who succeed in genetic progeny will be responsible for the future success of Russian football team for generations to come. Let’s do it! We believe in you! It’s no surprise there was an immediate backlash to the promotion, including from social media and news outlets, and the campaign was removed. We are sorry about the clearly offensive promotion that the team in Russia launched online. 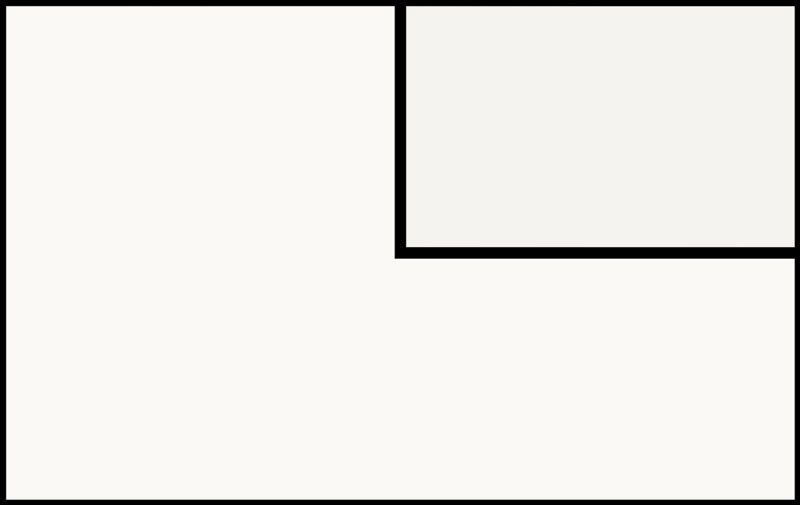 As soon as it was brought to our attention, we had it removed. It certainly does not reflect our brand or our values and we are taking steps to ensure this type of activity does not happen again. How to avoid this fail: It’s obvious advice, but avoid social media for business campaigns that are sexist, demeaning, and crude, no matter who your target audience is. Starbucks debuted its new “blonde” espresso in January, featuring a brightly colored campaign with somewhat confusing messaging. Where Starbucks ads in the past have usually been fined tuned into the current political climate—even openly declared the company’s political leanings—the blonde campaign took a very different route. I’ve read this so many times and it still doesn’t make any sense to me. 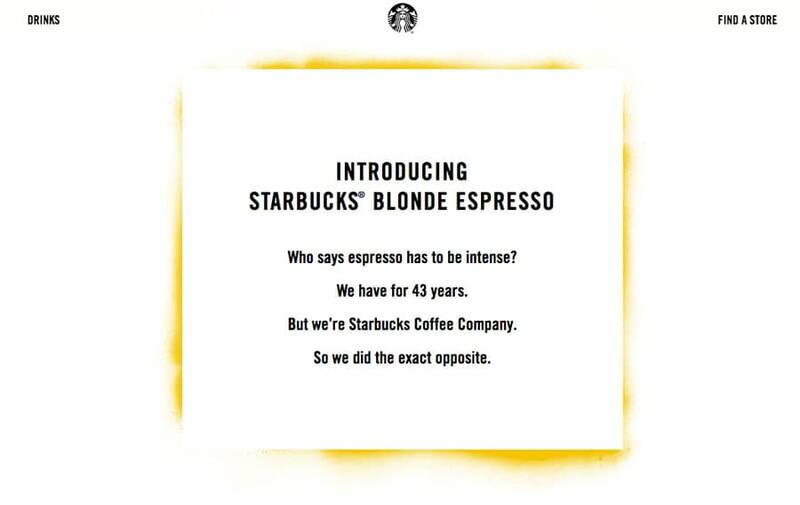 So… Starbucks is saying that they’ve been telling people for 43 years that espresso has to be intense, but then they decided it doesn’t…? It’s a weak piece of copywriting for a social media for business campaign if you ask me. It seems to be a nod to the old-fashioned expression, “Blondes have more fun,” a phrase attributed to a series of Clairol commercials from the 1960s. The ads feature young women who find their lives become better when they dye their hair blonde and enjoy fun parties, marriage proposals, and even improved tennis skills. Yes, the ad is kind of flirty but it’s also regressive and it doesn’t really make any sense for the brand. Does Starbucks simply want to give people the excuse to ask baristas for a tall blonde? How to avoid this fail: Whether you agree with me on this one or not, it’s important that your own social media for business campaigns send a clear and effective message to your target audience. Run your campaign past others outside your business before sharing on social so you can make sure it doesn’t come off like an inside joke or weird gibberish. Here’s an obscure one I’m slipping in even though it’s technically from December 2017. But I couldn’t resist because it takes clickbait to a whole new level, introducing the world to swipebait. Chinese sneaker manufacturer Kaiewei Ni published a Black Friday ad to Instagram Stories with a stray hair in the center. Whoever made the ad designed it to look as if there was a stray hair on the phone screen of the person viewing it. What was clever, but also incredibly sneaky, about this ad was its goal—to trick users into swiping up on the ad so the user would be redirected to Kaiewei Ni’s website. Not surprisingly, Instagram removed the ad for violating its policies and disabled the account from advertising in the future. How to avoid this fail: People don’t like being treated like fools and engaging in tactics like this will only alienate potential customers. When you try to game a social platform, it’s only a matter of matter of time before you’re caught out and your social media for business account is suspended. If you really want to know how to advertise properly on Instagram, check out How to Advertise on Instagram: A Step-by-Step Guide. While the thought of making an embarrassing blunder on social media might be horrifying, knowing why mistakes happen is the first step toward avoiding them. Having the right social media management tools in place, knowing how to use them, and establishing a meticulous approach to crafting campaigns and reviewing them, as well as having a solid marketing strategy, will ensure your brand’s communications are always on message.